Child and Adolescent Psychopathology is the only comprehensive text in the field to address genetic, neurobiological, and environmental factors within a developmental context. Based on cutting-edge research and aligned with the DSM-5, this book emphasizes how, when, and why disorders emerge among young people, and the ways in which symptom profiles change at different stages of development. This new third edition has been updated to include new chapters on OCD and trauma disorders consistent with DSM-5 classification, and includes new discussion on epigenetics and the neighborhood effects on the development of delinquency. Coverage includes extensive discussion of risk factors, from disturbed attachment relations and abuse/neglect, to head injury and teratogen exposure, followed by in-depth examination of behavior disorders and psychological disorders including Autism Spectrum, Schizophrenia Spectrum, and Eating Disorders. Psychological disorders in children are increasingly being explored from a relational perspective, and continuous advances in neurobiology research are adding an additional dimension to our understanding of cause, effect, and appropriate intervention. 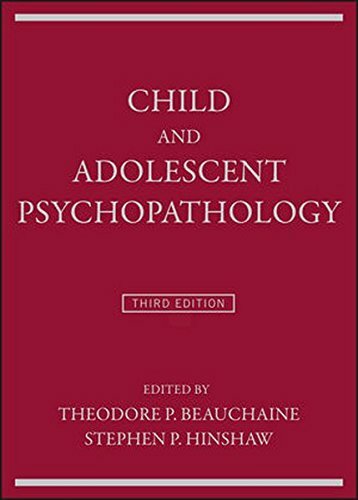 This book provides detailed guidance toward all aspects of childhood psychopathology, with a multi-discipline approach and a unique developmental emphasis. As the field of child psychology continues to evolve, behavioral and psychological disorders move beyond a list of symptoms to encompass the ‘whole child’—biology, chemistry, environment, and culture are becoming increasingly relevant in understanding and treating these disorders, and must be considered from the earliest assessment stages. Child and Adolescent Psychopathology provides comprehensive information on childhood disorders from a developmental perspective.